Smartphone Huawei Honor 10: “Beauty in Artificial Intelligence”. Competitive flagship that relates to Chinese mobile phones. This smartphone in a beautiful glass-metal case boasts a “high” frameless screen with “bangs” hidden under a protective glass by an ultrasonic fingerprint scanner, as well as hardware support for the functions of artificial intelligence for cameras. Great News! During holidays there is a 29% discount off on Gearbest stores on this powerful smartphone. 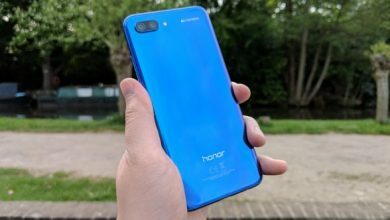 We find out some pros and cons of Huawei Honor 10, which will help you to make a right decision. Due to the aspect ratio of 19: 9 and thin frames, the display occupies about 86% of the front surface of the smartphone. A distinctive feature of the new product is also the Ultrasonic fingerprint scanner, which is located on the front panel. The elegant back panel, which seems to have already become traditional, effectively changes its color when viewed from different angles. The so-called gradient, aluminosilicate glass consists of 15 layers that refract light and create an iridescent multi-colored shine. The Huawei Honor 10 smartphone was equipped with a 5.84-inch FullView screen (aspect ratio of 19: 9), which at FullHD + resolution (2280×1080 pixels) provides pixel density per inch in 432 ppi. For the manufacture of the matrix, like the Honor 9 , they used LTPS (Low Temperature Poly Silicon) technology. The “AI Camera” on the back of Huawei Honor 10 seems to hint that a smartphone can analyze objects in the frame using machine learning, and then, based on special algorithms, optimize the picture. The rear photo module with 16-megapixel color and 24-megapixel monochrome sensors equipped with two lenses with the same aperture (f / 1.8). Fast focusing was assigned to the phase (PDAF) method. 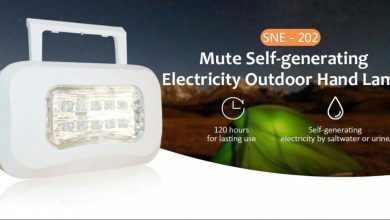 True, the technical specifications mention the 3-in-1 focus, which obviously means also the support of the contrast method and the measurement of the depth of field. The front photo module is limited by the video resolution of FHD + (2160×1064 pixels). For the rear camera duet, higher quality recording is available – 4K (3840×2160 pixels) @ 30 fps. But the frame rate at FHD (1920×1080 pixels) it can be increased to 60 fps. For compatibility, it is recommended to choose the standard H.264 / AVC codec, and to reduce the file size use the advanced H.265 / HEVC. Honor sound path 10 includes a special chip made by the Japanese company Asahi Kasei Microdevices. The capacity of the non-removable battery in Honor 10, compared with Honor 9 , increased slightly – 3 400 mA * h versus 3 200 mA * h. The Huawei SuperCharge certified charger (maximum power 22.5 V * A) fills the discharged battery in about half in less than half an hour. First of all, smartphone Huawei Honor 10 attracts attention for its extraordinary appearance, especially thanks to the “flickering” colors. 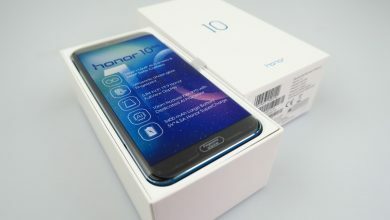 Among the advantages of the new device are: a powerful processor with a neural computing module, a “high” screen with a fancy bang, an ultrasonic fingerprint scanner hidden under glass, advanced AI 2.0 photography functions, high-quality wireless sound, fast charging of Huawei SuperCharge, NFC interface and Infrared and Android OS 8.1 with EMUI 8.1 launcher. Hope this article will be helpful for you. We recommend to purchase this powerful smartphone at this affordable price. So hurry up!